Our recent projects page is proof of our skills! Find out how our technicians use their expertise to serve our customers. You’ll learn more about our approach to projects and see the results of the repairs we’ve done. Our Solution: We tried several fixes but the remote had been too far gone and the cost of repairing it would've superceeded the amount a new one would cost. 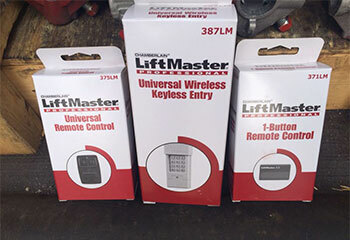 We offered the customer a new Clicker KLIK1U Universal 2-Button remote that was an improvement compared to his old unit. He agreed, and we quickly calibrated his new unit with his opener and made sure it was working perfectly. 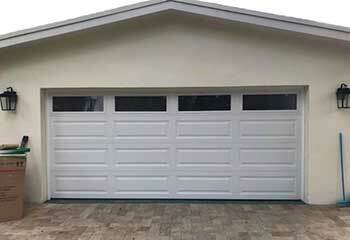 Our Solution: This customer was looking for a beautiful new door. We recommended a steel door from the Amarr Classica collection, which looks like wood but is actually sturdy metal. 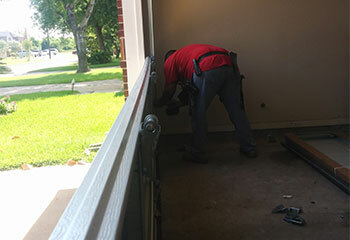 We installed the new door at the customer's home and made sure it was able to open and close safely and smoothly. 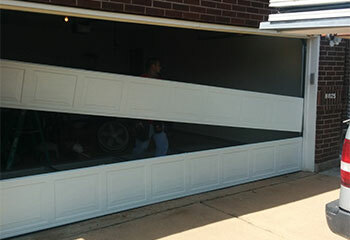 Customer Issue: This client’s garage door reversed before it touched the ground. Our Solution: We adjusted the close force by turning the force-adjustment screw until the door was closing properly. Customer Issue: A few of the wheels were jumping off the track. Our Solution: We manually opened the door and locked it in place. We then pulled the outside edge of the track open and moved the wheels back on track. We knocked the track back in place with a mallet and tested the door to make that it was working properly. Customer Issue: After eight years, this client’s opener just stopped working. 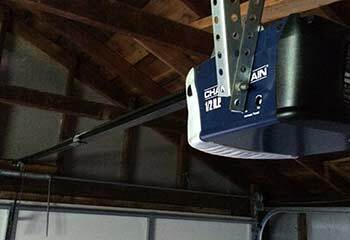 Our Solution: We removed the old opener and installed a brand-new Chamberlain MyQ Belt Whisper Drive Garage Door Opener.